Hyundai recently launched one of the most awaited cars on October 23, 2018. Of course, that car is the beloved Santro, especially in India Market. Santro has been loved by mass of people in India but also Hyundai decided to discontinue the previous version of Santro at 2015. But Hyundai finds out that its clients are still loving the Santro. So, it decided to launch the new car with the same name – Santro. So, now let’s find out either this new Santro is same as the old one or either it is better or worse. Is it really a good idea to purchase the Hyundai Santro 2018 or are there other better alternatives? Let’s find out. We don’t know about you but lookswise we feel the old one was better than the new version of the Santro. The new Santro looks like the mixed of 3 Hyundai products and those are i10, Eon and i20. It looks like Hyundai try a lot to make a unique look but end up with something similar to its other models. Sorry Hyundai, but we were expecting the better head-turning look of Hyundai Santro because Santro is not alone now and it has to compete with Datsun Redi-Go, Renault Kwid, Tata Tiago, Wagan-R, Celerio and so on. So, lookswise we don’t feel Santro is a masterpiece, however, it is also not bad as well. Definitely different people like different looks. So, please use the comment section below and let us know what do you think about the looks of new Santro. The build-up quality of new Santro can be considered well enough for the car in this segment and price. However, the interior of new Santro looks good and it’s also spacious compare with its dimension. The interior build-up quality looks good compared with the material it has used. The only thing we don’t like is the power window operating switches which are now not available on doors but in the middle just after the gear shift knob compartment. It seems a little bit difficult for everyone to reach the power window switches there. It seems Hyundai did this to cut some cost so that it can compete with its rival in the price. Many people used to like Hyundai Santro also due to its ground clearance. The ground clearance of the previous version of Hyundai Santro was 172 mm but now it is only 160 mm. Well, if we consider safety, then low ground clearance is definitely more stable than the higher one but in the same time, lower ground clearance may not attract the consumers especially in India which is the main target market of Hyundai Santro. Since the rivals of Santro are providing higher ground clearance, maybe Hyundai will have some difficulty to compete in the market with only 160 mm ground clearance. But, 160 mm is not bad ground clearance for small size vehicle like Hyundai Santro which dimension is 3,610 mm in length, 1,645 mm in width and 1,560 mm in height. However, Indian consumer mostly prefers at least 165 mm ground clearance in hatchbacks. The new Santro comes with 1.1-litre (1086 cc) 4-cylinder petrol engine producing a power of 68 bhp. You can find a 5-speed manual or 5-speed automatic gearbox options giving a fuel efficiency of 20.3 km/l. Considering the dimension of Santro, 1.1-liter petrol engine with 68 bhp is definitely gonna give the smooth and powerful ride. Since it is Hyundai, we don’t think we need to doubt on its engine quality. However, sometime Hyundai put low power engine in a heavy body due to which we can feel some turbo lag in some of its models but we don’t think that gonna happen in Santro because the 1.1-liter engine with 68 bhp seems enough according to the car’s size. 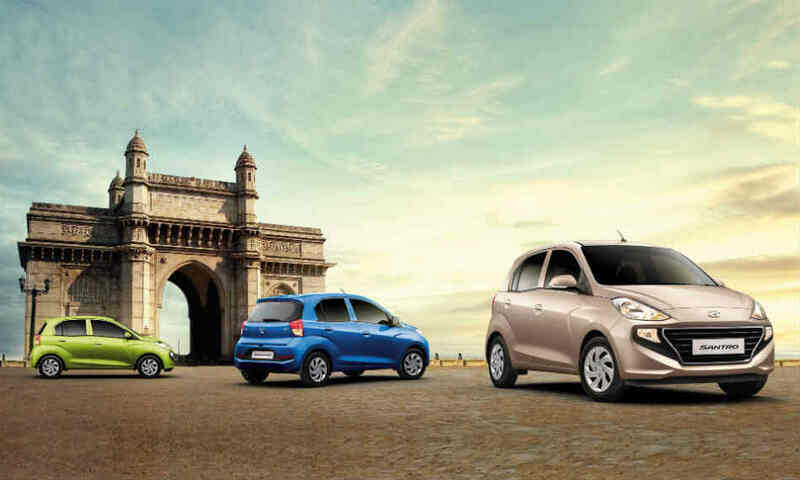 The dimension of Santro Xing 2015 was 3,565 mm in length, 1,525 mm in width and 1,590 mm in height with a ground clearance 172 mm, kerb weight 820 kg and 1086 cc petrol engine. So, comparing with old Santro, new Santro is bigger in length by 45 mm, in width by 120 mm but lesser 30 mm in height. Although there is not so much big difference in the dimension of old and new Santro, however, having bigger width and length with lesser ground clearance may disappoint lots of Santro lover who used to like it due to the tall boy look with good ground clearance. But, giving an extra length and width with lesser ground clearance, definitely, make it safer at least according to the body roll safety of vehicle than the old Santro. But, having a bigger body with the same engine power of old Santro may cause little negligible power lag, but definitely, it is not too much difference, so we think it will be well enough for pick-up power lover. We still don’t know the kerb weight of new Santro as the company hasn’t revealed it. But, according to the lots of reviewers, it seems the build up quality of Tata Tiago is better than Santro 2018 which price is almost the same. But, comparing with other cars in this segment and price range, especially Maruti Suzuki products, its body strength is definitely well enough as well as its interior looks more premium. Although new Santro failed to provide the head-turning look from outside, the interior of new Santro is definitely premium one in this segment. Now, let’s compare it with other cars in India in the same price range which gonna be from 3.9 lakh to 5.65 lakh ex-showroom price in India since India is its main market. Well, Maruti Alto comes around 2.53 to 3.8 lakh Indian Rupees, so we don’t think it is well enough to compare Santro with Alto. 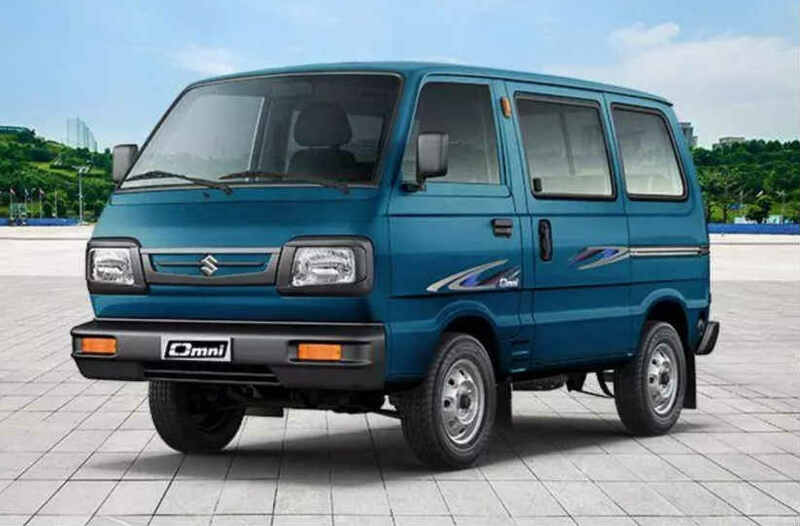 But, if you consider the safety especially the body strength of the vehicle then definitely Santro is worth to pay extra bucks over Maruti Alto. Once again, according to the safety, Hyundai Santro is a winner here. The build-up quality of Renault Kwid is not so good, however, not so bad as well. So, if you are looking for boxy tall boy SUV look in this price range, then definitely Renault is the winner. But, if you are looking for a safe car with loaded feature and premium interior feeling, then definitely Santro is the winner. You will also feel power lag in Renault Kwid compare with Santro. The price range Maruti Alto K10 is almost the same as Santro but Santro clearly wins Maruti Alto K10 in build quality and safety measures. So, definitely, Santro is a winner here. But, if you are mileage lover, you can still stick with Maruti Alto K10 but we don’t think it is a good idea to risk your body just to save few milage bucks. Yes, people will say Maruti has a good service network but so do Hyundai has and it is not that you must have a service center next to your home. Santro definitely wins its own brother Eon according to safety, build quality and features. We think Hyundai will now give more focus on Santro and have maximum chance that Hyundai will discontinue making Eon. So, we don’t think it’s a good idea to purchase Eon. Santro definitely wins over body build-up quality of Datsun Go or Go Plus or Redi-Go. The service network of Hyundai is much better than Datsun and the resale value of Santro definitely gonna be much higher than Datsun Go or Go Plus or Redi-Go, so definitely Santro is a winner here. Only the outside look of Datsun Redi-Go is better than Santro, other than that, Santro wins Redi-Go or Go or Go Plus in every aspect. If you only want to go after the looks, then even you have Renault Kwid or Mahindra KUV100 than Redi-Go. Although Maruti Suzuki Swift is expensive than Santro, still Santro wins Maruti Suzuki Swift over body build up quality as well as interior material quality. The engine quality of Swift and Santro both are good. Santro also feels premium from inside same as Swift. So, why pay more money for Swift when Santro is safer? Whenever we compare Santro with Maruti Suzuki’s cars in the same price range, Santro always wins the race due to the build up quality. So, once again Santro is a winner here. The performance wise Hyundai Santro wins Mahindra KUV as Santro gives you more powerful engine pick-up than Mahindra KUV. But, the build-up quality of Mahindra KUV is not bad at all. However, if we consider the dimension, then definitely Santro gonna have less body roll than Mahindra KUV, so once again Santro is safe here. But, the looks of Mahindra KUV beats Santro in a high margin. So, it’s up to you to decide either you want to have Santro or Mahindra KUV. But, considering safety, it’s better to go for Santro. Tata Tiago comes in the same price range of Santro with the same kind of premium interior feel. However, if you check the body build quality, then Tata Tiago is definitely a winner here. The dimension of Tata Tiago is 3,746 mm in length, 1,647 mm in width, 1,535 mm in height which means Tata Tiago is 136 mm longer, only 2 mm wider (almost same) than Santro. However, Santro is 25 mm taller than Tata Tiago. We don’t know about you, but we feel Tata Tiago looks more premium than Santro from outside. However, inside both give the same premium feel. So, according to the build-up quality and lookswise, Tata Tiago is definitely the winner in this price range of car segment. Total Tiago claims ARAI Mileage of 23.84 kmpl even when it has 1199 cc petrol engine whereas Santro claims 20.3 kmpl ARAI Mileage with its 1086 cc petrol engine. So, considering mileage, still, Tata Tiago wins the race. However, the resale value of Santro is definitely gonna win the race because people believe Hyundai more than Tata due to some dull models of Tata previously. But, nowadays, it seems Tata has improved a lot especially with its Tata Tiago and Tata Nexon models. So, if you want the resale value car which cost 3.9 to 5.65 lakh, then definitely you can choose Santro. But, if you don’t care the resale value, instead, the build quality of the vehicle, if you want the car which is value for money, then definitely Tata Tiago is the best one in this price range. Since the new models of Tata are good, especially Tiago and Nexon and they are selling those models in high volume every month, so there is also a high chance that the resale value of these Tata products will be good. So, according to us, in this price range, Tata Tiago is the first one and Hyundai Santro is the second one. We love to hear your thoughts about New Santro and also about its rival. We always love to have a conversation with you. So, please feel free to leave your comment below. We will be more than happy to hear from you. 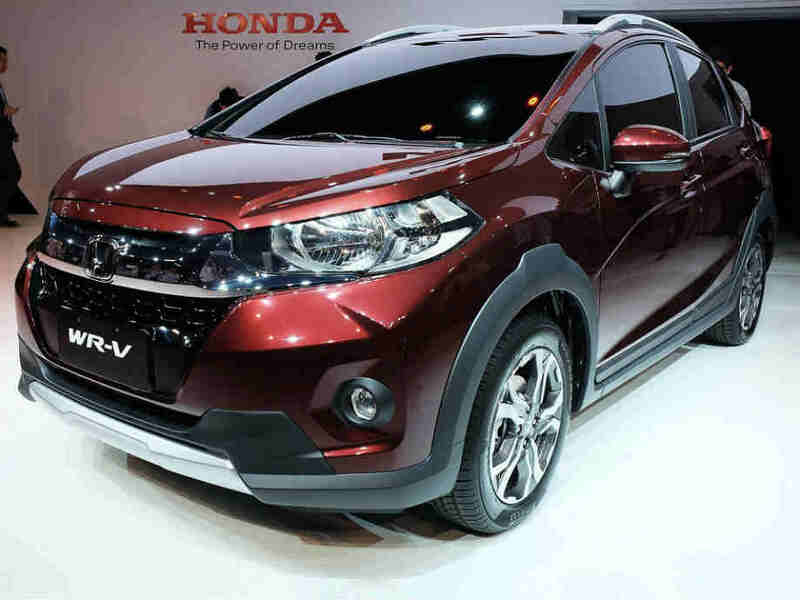 Well, before we jump into the conclusion either we should purchase Honda WR-V, it’s better we first of all talk about its pros and cons and compare it with its rivals such as Ford Ecosport, Fiat Avventura, Toyota Etios Cross, Maruti Suzuki Brezza, Hyundai i20 Active, Tata Nexon and Renault Duster. Well, first of all, let’s talk about the pros and cons of Honda WR-V.
Low pick up due to 1199 cc petrol engine for 1204 kg curb weight which only produces 89 bhp @ 6000 RPM power and 110 Nm @ 4800 torque. Actually, Honda should think to put higher cc on a big body than the Jazz instead of putting the same engine in a big body. Now, let’s compare Honda WR-V with its rivals. Actually, in this segment of cars, Ford Ecosport has improved a lot recently. The new Ford Ecopsort not only has new looks but newly developed engine known as a dragon engine, new features for each variant considering the demand of the consumers, good body strength quality and good pick up. The refinement of 3 cylinder petrol engine is done very efficiently so when you drive Ecosport, you don’t feel it’s a 3 cylinder petrol engine. Ford Ecosport has now given the options for power and pick-up lovers in this segment. Those who love the power and pick up, they can now have 1497 cc petrol engine which produces 121 bhp @ 6500 RPM and 150 Nm @ 4500 RPM torque which is enough for 1220 kg curb weight vehicle. It still provides 999 ccs petrol engine in its S variant which is the 3-time award winning engine. However, some people feel power lag on its 999 cc petrol engine because it is a turbocharged system. So, those who feel power lag, now they have 1497 cc petrol engine option. Even the 999 cc petrol engine of Ecosport can produce more power than 1199 cc of Honda WR-V petrol engine. On the other hand, the diesel engine of WR-V is not so refined and feel noisy than Ecosport. So, considering the power of both cars, Honda WR-V definitely lose the battle in both petrol and diesel engine variants. Ecosport is definitely a winner here. So, Ford Ecosport is an overall best vehicle in its segment now. The only drawback of Ford Ecosport is the backside cabin space which is less than Honda WR-V.
Well, since Maruti Suzuki Brezza is only available in the diesel engine, so let’s compare it with WR-V diesel engine only. Well, the quality of the diesel engine of both cars are almost the same and both diesel engines are noisy. You can feel the noise of the engine in the cabin of both Brezza and WR-V. However, we choose WR-V over Brezza due to the build quality of the car. The build quality of WR-V is definitely much better than Brezza in terms of body strength and interior material quality. Actually, the build quality of Brezza is most lower than any other car in this compact SUV segment. So, the Brezza will be our last recommendation although it is the highest selling car in this segment only due to its brand name – Maruti Suzuki, that’s all. We are comparing Honda WR-V together with Fiat Avventura and Toyota Etios Cross because the build quality, performance, engine quality of both Fiat Avventura and Toyota Etios Cross are almost the same. Actually, the build quality and performance of both Fiat Avventura and Toyota Etios Cross are very good but also we don’t recommend these both cars and we suggest you go for Honda WR-V instead of these two cars because the sales volume of both Toyota Etios Cross and Fiat Avventura is very less compare with all cars in this segment. We don’t know why people don’t go after these two cars when these two cars have both good build quality and performance. Maybe people don’t like the very fewer features offered by Toyota Etios or the looks of both Fiat Avventura and Toyota Etios Cross or maybe people afraid of little expensive body parts. However, the price of body parts of Avventura and Etios is not so high because these body parts are very well built so they need little maintenance. But the body part of Ford Ecosport is also good and build quality is also good, so maybe people neglect Avventura and Etios Cross due to their looks. If we purchase the car which is not appreciating by the market properly, then we will get a very less resale value of that car. So, although Fiat Avventura and Toyota Etios Cross are good cars, we choose WR-V over these two cars, and if you want the best build quality with good performance and safety is your first priority, then definitely Ford Ecosport wins the race in this segment. That’s why Ford Ecosport also has good resale value. The performance wise definitely Hyundai i20 wins the race as the petrol version of Hyundai i20 wins petrol version of Honda WR-V according to the good pick-up whereas the diesel version of Hyundai i20 is more refined. But, build quality of Honda WR-V is good than Hyundai i20 and Honda WR-V is a new model in the market whereas Hyundai i20 already looks the old boy in 2018. The sales of the Hyundai i20 is also declining day by day. So, there is a high chance that Hyundai will either stop producing i20 or completely makeover it. So, in this situation purchasing Honda WR-V is not so bad if we compare it with i20. However, if you want good pick-up and ride quality, still Hyundai i20 wins the Honda WR-V.
Tata has now changed, it is not like before. 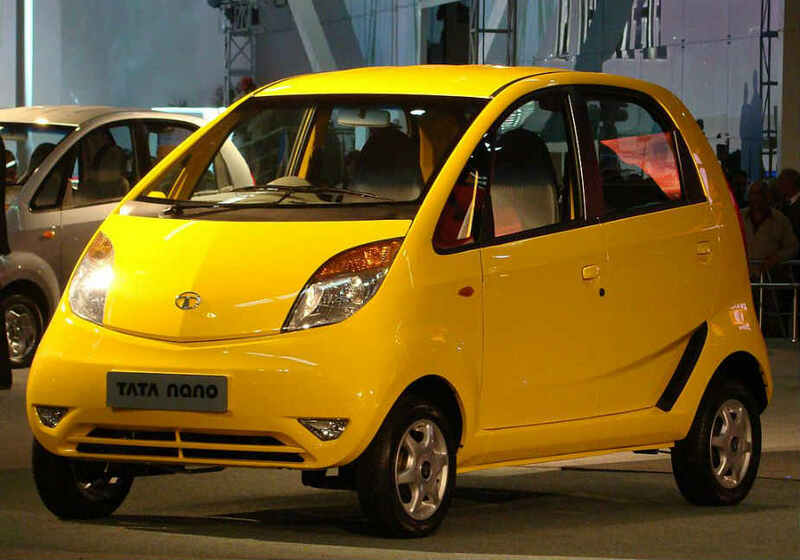 However, people still don’t believe the products of Tata due to their failure models in the past. But, if we compare Tata Nexon with Honda WR-V, we definitely don’t go after the brand name of Honda because here Tata Nexon clearly wins the race as per the design and performance. The body build quality of Tata Nexon is also good, almost same like Honda WRV, so why choose WR-V over Tata Nexon? Performance wise Duster wins WR-V but still, we don’t think it is a good idea to purchase Renault Duster in 2018 due to its old look. The design of Duster is not competitive in the market due to which even its sale is declining day by day. So, it is better to purchase WR-V over Duster. We don’t think Honda WR-V is any wow package like it is claiming since there are two very good opponents in this segment, the first one is Ford Ecosport and the second one is Tata Nexon. We are saying Ford Ecosport is first in this segment considering the build quality, ride quality, and the engine performance. However, if we compare the price, Tata Nexon is also a value for money. But, if you want the safest car in this crossover and compact SUV segment with a good body build quality which even has passed the side impact crash test and frontal crash test with a good score, then Ecosport definitely wins this segment. Actually, the resale value and performance of Ecosport are also good. So, for us, Ecosport is the first one and after that Tata Nexon. If you have to say something related to this post, then please feel free to place your comment below.